See scan - perfect condition. This is a very rare and scarce Bulgarian greetings / Gruss Aus type postcard from the town of Varna at the Black Sea coast. This is a very rare full color card showing the Royal Varna Palace as well as the Nadejda torpedo boat. 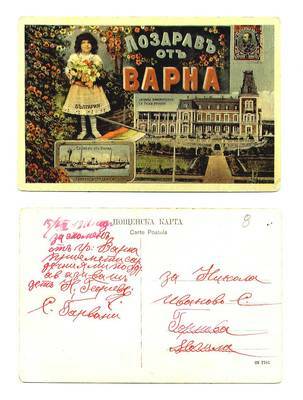 Scarce collector piece and one of the rare Bulgarian postcards.